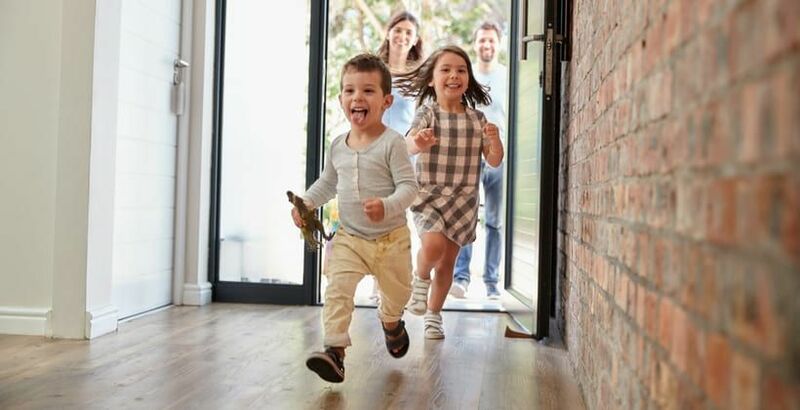 Recent data from the National Housing Federation has revealed that the number of houses needed to satisfy the backlog of demand in England has reached 4 million. Despite calls from across the political parties for action, the government’s target of 300,000 new homes a year may not be enough and leading homeless and housing charities want answers. Since 1984, the number of families headed by a parent aged between 25-34 years and owning their own home has dropped by over 50%. Millennials are being forced further away from their places of work and study and into more expensive properties. This means a longer, pricier commute and rent taking up over a third of their household income. Many young people now live in cramped overcrowded housing and since 2010 sleeping rough has increased by 169%. Only 40% of homes need to be affordable to cover the demand for lower-income families but the number being built is half that. In the long term, this problem could have a huge impact on the UK economy. A third of millennials are predicted to still be renting by the time they are pensioners. This is expected to result in a doubling of pensioner housing benefit to £16 billion by 2060, placing a major burden on government spending. This crisis has been building for decades with many roots. The UK property market is a highly attractive prospect for foreign investors. Over a quarter of house price growth between 1999 and 2014 can be attributed to foreign cash. This has had a “trickle-down” effect on the rest of the market, reducing domestic home ownership rates. More desirable areas contain potential homes left empty by owners waiting for the properties to appreciate or sell at a premium. England now has £50 billion worth of empty homes, in part due to owners waiting for them to appreciate in value. Theresa May has claimed that the “gap between permissions granted and homes built is still too large,” pointing at developers land-banking rather than building. Whilst it is true that some developers sit on land until it rises in value, many developers require a large number of permissions for the years ahead to build a stable business model. In addition, a large chunk of planning permissions granted in London in 2014 were to land traders rather than developers. On top of that, developers struggle with planning restrictions and financing. Banks tend to lend to the more affluent. Other reasons include rogue landlords, councils with limited funds and the Help to Buy scheme, which could be driving prices up. Major issues seem to be the increasing population and social changes - single occupier homes, split families, generations not sharing homes...etc. It is a highly complex and nuanced web which needs serious attention from several angles to untangle. Solutions have already been put into motion; Sadiq Khan wants to fast-track developments containing at least 35% affordable housing units. More extreme measures have been suggested, such as seizing undeveloped land and deregulation of the planning process. Estate agent Sam Mitchell has suggested “capital gains tax relief for sales of empty, second or investment properties.” Furthermore, there are real estate innovations such as micro-flats and 3D printed homes (that can be constructed for $4,000) in the pipeline. We also need to find alternative ways of financing properties. One simple solution is to build more homes. That requires SME developers being given more opportunities to build and access finance by opening up their routes to funding. We aim to connect developers with financing from people like you. Companies like British Pearl can play a part in alleviating this crisis, by offering people the chance to invest in various properties of different investment types, one of them being development at some point in the future. Our aim is to meet changing consumer preferences by offering competitive property backed share and loan investments online. There is no quick fix, and several measures need to be implemented to ensure the next generation can enjoy their own home. By simplifying land legislation, increasing awareness and making financing for new properties more accessible, perhaps we can break ground on this issue.